Q. What exactly is UsTrendy? Q. How many designers do you have on the site? A. There are close to 7,000 clothing lines on the site. It’s also really cool because we have designers from over 100 different countries. You can come to the site and you’re a world traveler. You can find designers from countries like India or Australia. Q. What was the inspiration for starting the site? A. One of my really good friends from college moved to LA. He’s a really talented designer. I’d wear his stuff at school, and I was thinking that he was going to be the next big designer. Then I took a trip to Las Vegas to see him. He had lost about 20 pounds. At first I thought it was an LA thing because they’re all skinny there. But the whole trip he had no money. He was sleeping on my floor and eating leftovers. I was pretty concerned. It told me how tough it was to make it as a designer. Q. Do you find that a lot of designers have little idea of how the business end of fashion works? A. I find that a lot. When I was first trying to help them, I was shocked because I left it up to them to write descriptions, price things, or take photos. They wouldn’t even take photographs of the back of the item, or the side. They would give you the inspiration for the item, which is cool and great, but they wouldn’t give you wash instructions. It’s perfect for us, because we can handle the business side and make their lives a lot easier. Q. I get the feeling that you’re probably more of a business guy than a fashion guy. A. I was interested in fashion and intrigued by it. I was one of those consumers who would spend a lot of money on clothes at the mall, and then go to class and see that three people were wearing the same shirt as me. That was when I started thinking that there had to be an alternative out there, and that’s when I started getting into the indie, unique, and vintage kind of stuff. I also started thinking that if I felt this way, then the consumer probably wanted different things. I graduated from Brandeis in 2007 in corporate finance that I absolutely hated. I resigned from my job after four days and started this. Q. Wouldn’t it be easier to do this in New York? A. It doesn’t really matter which city you do this in. I get asked that a lot. I was in California for a year and a half. And I was able to court investors there. We just raised a million dollars from a really big investor. But it really doesn’t matter which city you do this in. I could be sitting anywhere because we’re national. The designers are all over the world. The 28-year Lexington native grew up on Beacon Street in Boston, and graduated from Brandeis with a degree in economics and finance. 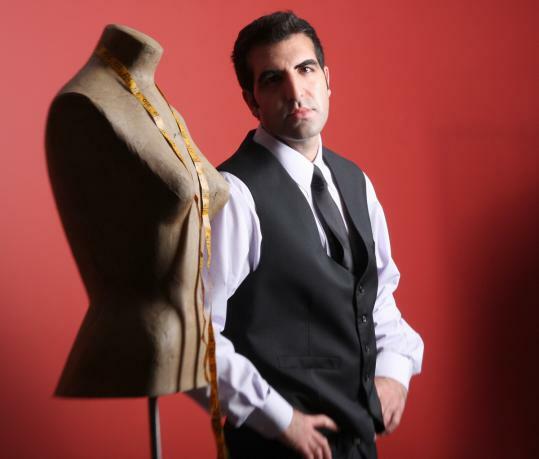 He started the Boston-based website www.ustrendy.com in 2008 to offer budding fashion designers an opportunity to sell their clothes to a worldwide audience.